When you begin to lead, you may not realize leadership is full of decisions. Not all of them are fun. There are decisions every leader has to make. Some will be great. Some will be frustrating. And others will be sad. Knowing that you’re going to have to make hard choices going into leadership does make the painful struggle better. Though the preparation doesn’t fully equip you for the choices you’ll have to make. 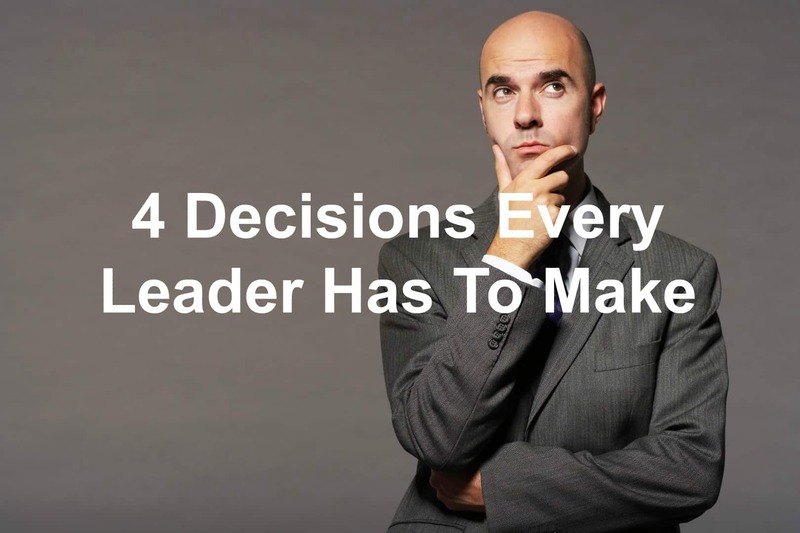 Today, we’ll look at 4 decisions every leader will have to make at some point in their journey. Yes, every leader has to make this decision. You do too. Are you going to accept the mantel of leadership or will you push the gift away? Leaders accept the position they’ve chosen and steward it well. This decision is messy. Yet it’s something every leader will have to do. Wounding someone sounds yucky. And it’s a decision no leader wants to make. However, we all do. We wound others by having to release them from their position, passing over an idea that was presented, or by reprimanding a specific action. We will wound others while we lead. We also have to make the decision to heal the wounds we’ve caused and the wounds others have inflicted. That’s the great thing about leadership. We can heal and restore others to wholeness. When we have to let someone go, we can then help them land on their feet by showing grace and helping them find a new place of employment. And if we pass over an idea they shared, we can praise the good idea and explain why we couldn’t follow through with it at this time. Keep it on the back burner and revisit the idea in the future. They’ll appreciate that you remembered their contribution. Or after a reprimand, we begin working with the team member to explore ways to ensure another reprimand doesn’t occur in the future. Show him what’s expected and how you can help him reach the goals set for him. Possibly the hardest decision any leader will make is the decision to leave a position of leadership. Leadership is a temporary position and we’ll have to move on at some point. My wife and I had to do that with a youth leadership position we once held. We loved the church and the students. Yet God had told us it was time to move on. We had a decision to make. Do we obey or do we rebel. We chose to obey and leave that position of leadership. You will have to face that choice at some point as well. Make the right choice. No one said leadership was easy. 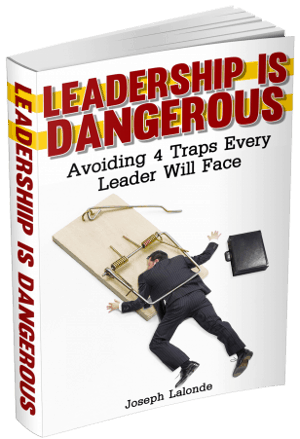 In fact, leadership will be one of the most difficult tasks you ever take on in life. But don’t be afraid. While there are hard decisions in leadership, there’s also a lot of fun and excitement. Question: What’s a decision you’ve had to make in leadership? Share it in the comment section below.